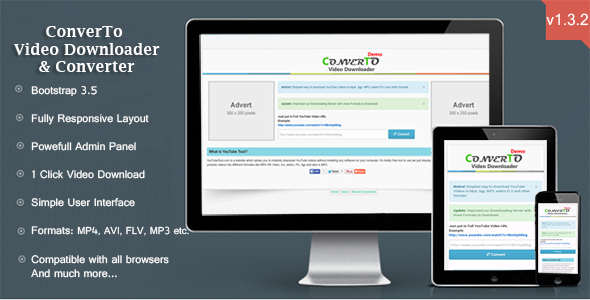 Download any online video using ConverTo Video Downloader & Converter with just one click. Many formsats are available for downloading videos like MP4, AVI, FLV, Webm, WMV & many other video and audio formsats. This script has Powerful Admin Panel for better usage of website & settings.